WINONA LAKE – It shouldn’t take Arron Patrick long to get acclimated in his new job. He competed against them for the better part of the last five years. 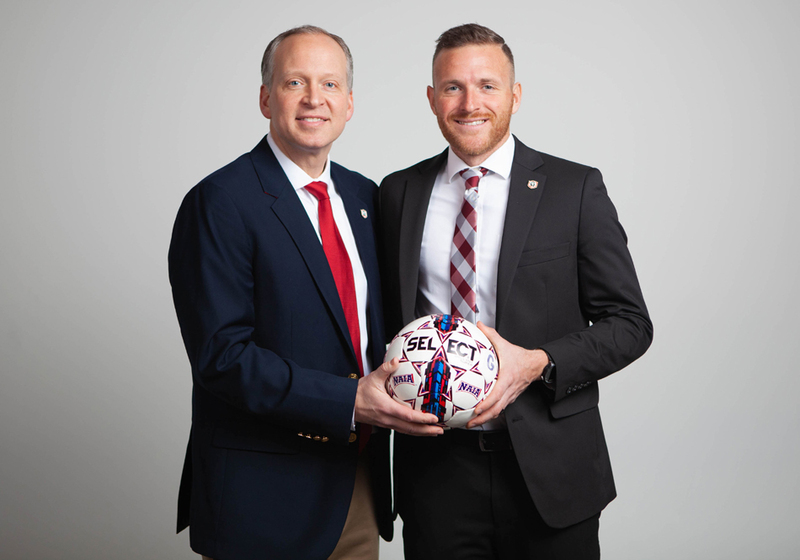 Tuesday morning, Grace College announced the hiring of Patrick as the next head coach for the men’s soccer team. Patrick will be the 14th head coach in the 53-year history of the program. He comes to the Lancers from Goshen College, where he coached for five seasons. The Grimsby, England, native helped the Maple Leafs reach the Crossroads League semifinals in 2017 with a 12-6-2 record, and Goshen was also the CL tournament runner-up in 2014. Patrick also led Goshen to academic success in the classroom. The Maple Leafs have achieved NAIA Scholar Team status in each of the past four seasons, topping 3.30 GPA as a team every year. Patrick takes the helm of one of the most successful programs in NAIA history. Grace has racked up 502 all-time wins, seventh-most among NAIA institutions. The Lancers won 15 games in 2018, the most in program history since 1983. Patrick excelled as a student-athlete in the Crossroads League. While playing at Bethel, Patrick won multiple All-Conference accolades and was the league’s Offensive Player of the Year in 2008 and the overall League Player of the Year in 2009. The Pilots won a pair of conference titles with Patrick in the starting lineup, and he was named All-American by both the NAIA and NCCAA during his career. He also earned All-American honors as a track and field standout. Patrick grew up in the Grimsby Town F.C. system (English 2nd Division) before playing semi-professionally with Spalding United F.C. He also played semi-pro in the United States with the Cascade Surge of Portland, Ore. Upon graduating with a degree in Sports Studies, Patrick returned to Europe to continue his soccer career. He played against teams from the Russian Premier Division, Turkish First Division and Romanian Premier Division, and he had a trial with Nuremburg of the German Bundesliga. He also had a professional stint in the USL Pro with the Wilmington Hammerheads. Patrick owns a C license with the United States Soccer Federation. He also holds a special topics diploma in Mental and Physical Player Development from the National Soccer Coaches Association of America. Patrick and his wife Callie have a son, Oliver, and a daughter, Zara.